I love a good smokey eye. Unfortunately, I have teensy tiny little eyes and the look sometimes is overpowering for my features. Now, you can get a similar look quickly and easily. This is a look that, while perfectly fine for daytime, I wouldn’t normally wear to work or running errands. I’d probably save this look for if I was going out for a couple cocktails after work, or maybe an early dinner. 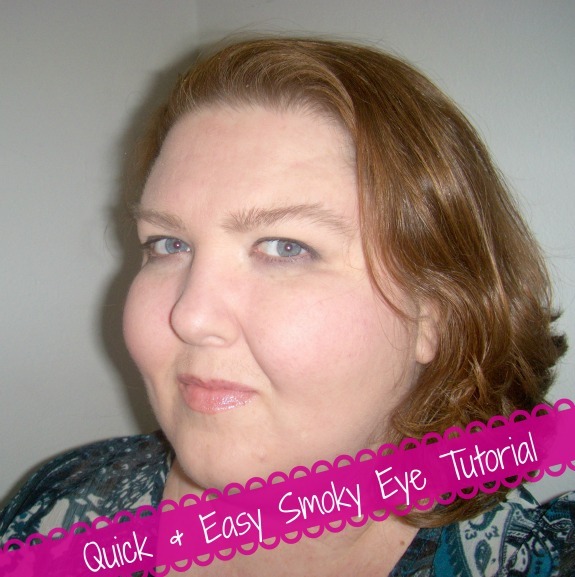 This is sort of a lazy, easy smoky eye, and is a great day to evening transition. I used the Anastasia Beverly Hills Bold and Beautiful Kit for eyes and brows. 1. Start with a clean face. Or not, it’s up to you. I started with a totally clean face. 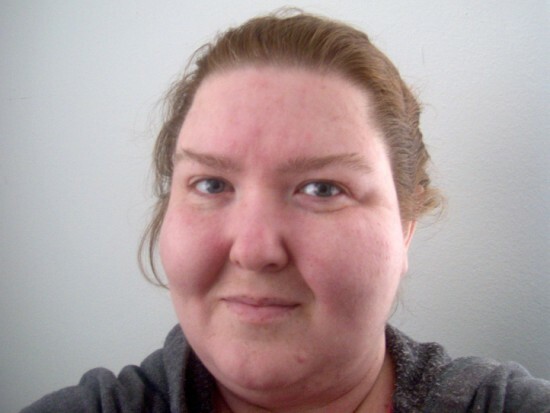 And yes, that’s me with no makeup on and in my pajamas. 2. Moisturize, and apply your general primer, if you use one. I never understood the need for primer until I used one. It was amazing the difference it made! So, now I use it and recommend it. 3. Apply your foundation. 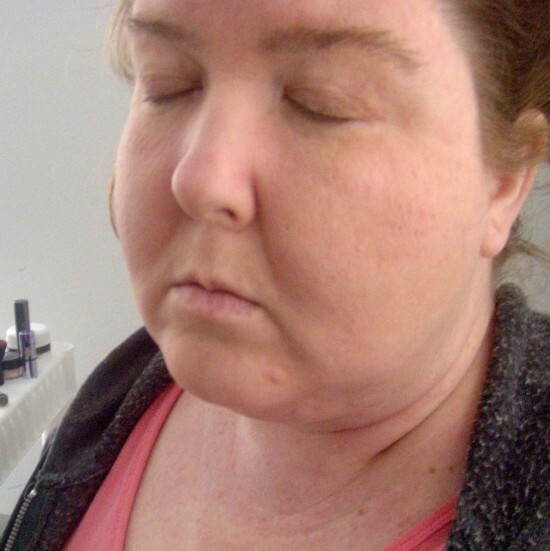 I have fairly clear skin, so I applied a light foundation of my favorite mineral makeup. Cover the blemishes that need to be covered. Like the monster on my chin. 4. Apply shade #1 from the Beautiful Eyes part of the kit, all over the lid and brow bone, and blend well. I used the dual ended mini brush that comes in the kit. 5. Lightly apply shade #4 from the Beautiful Eyes kit with the tapered end of the mini brush. This color is dark and intense, and a little goes a long way! 6. Buff out the dark shadow, blending well. I kept it mainly on my lid, and a little into the crease. 7. 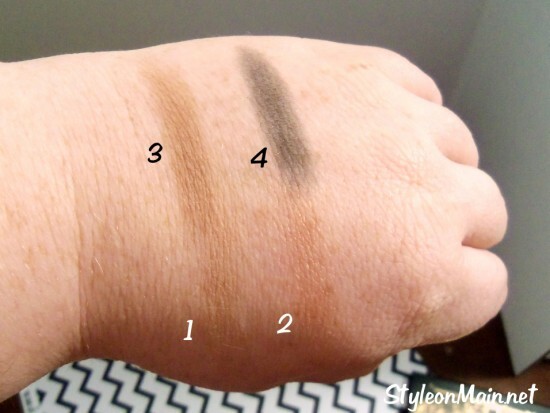 Use the shade #4 as an eye liner. I used the tapered end of the eyeshadow brush, but the brush in the brows kit works great, too. Blend to soften the line. 8. Groom your brows, however you like them. I brushed mine and added a bit of the brow wax from the eye brows part of the kit. 10. Set it all with a finishing powder. 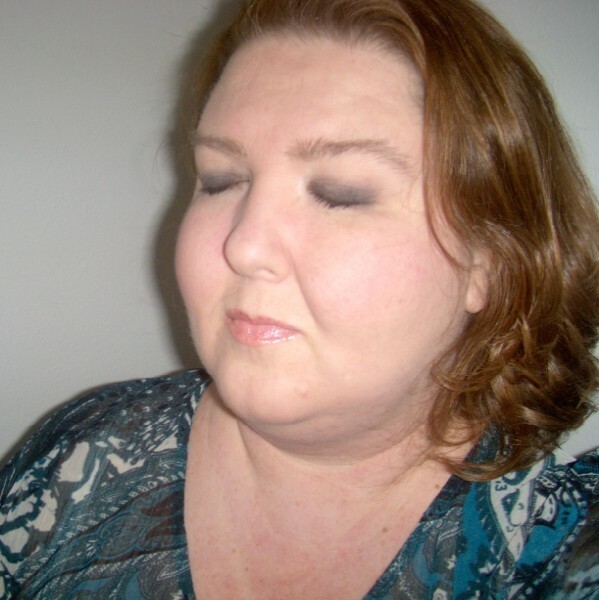 I used my favorite mineral makeup veil powder. 11. Add mascara and lip gloss for the finishing touch. I like to keep the cheek and eye neutral to keep the focus on the eyes. The Bold and Beautiful Kit for eyes and brows has two parts. Volume 1 is all about the eyebrows. There’s an eyebrow pomade and a brow powder to help fill in your brows. There’s a dual ended mini brush that has an angled brow brush on one end and a grooming brush on the other. The grooming brush is like a dry mascara wand. The kit also has a miniature pair of tweezers to pluck those stray hairs. Volume 2 is all about the eyes. 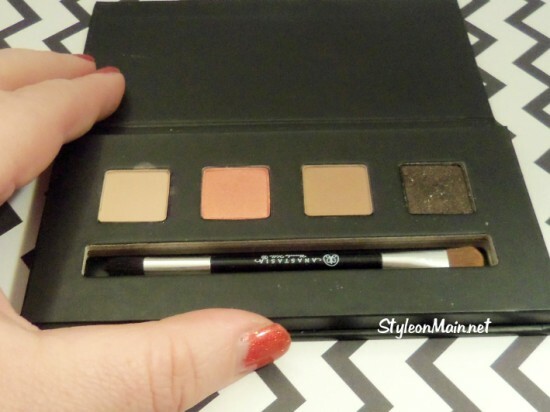 There’s 4 different eye shadow shades, all in great, wearable neutral shades. Shadow #1 is a matte neutral beige-taupe shade. Shadow #2 is a shimmery shade of peach. Shadow #3 is a Camel color with a fine glitter. Shadow #4 is a dark brown-black with ultra fine copper glitter. 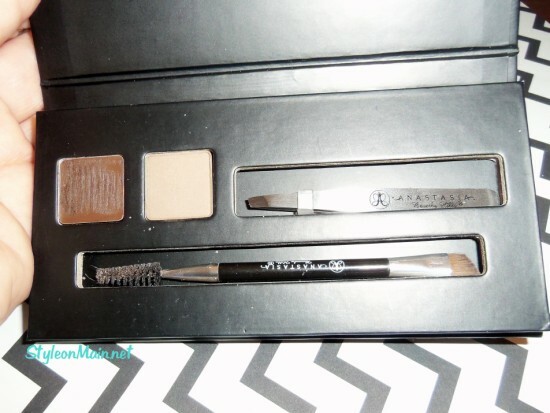 This kit also has a mini dual-ended eyeshadow brush. One end has a traditional eye shadow brush, while the other has a tapered brush head. I have really sensitive eyes and did not experience any eye irritation or fatigue. I have NEVER been a makeup person, but this is the exact kind of eye I’ve been trying to achieve. Thanks for sharing! I don’t wear makeup often but when I do I love looking at how other’s are putting it on. 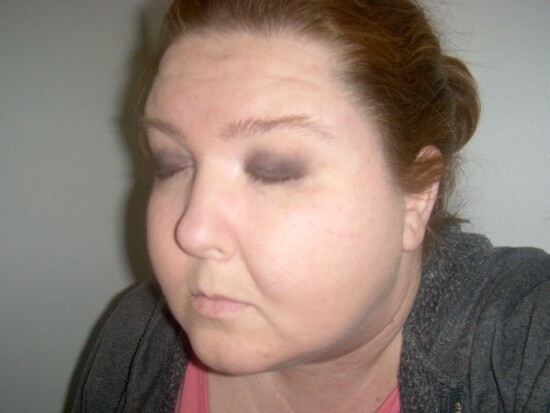 When I wear dark blue or black eyeshadow, I always feel like I am preparing myself for a movie take of a black eye! One trick I found on pinterest was to use a tissue under the eye to keep the shadow from falling onto my cheeks. I love the smokey eye look! So pretty! Great job. I do a smokey when I go out somewhere which isn’t all that often lately! This is such a good tutorial. 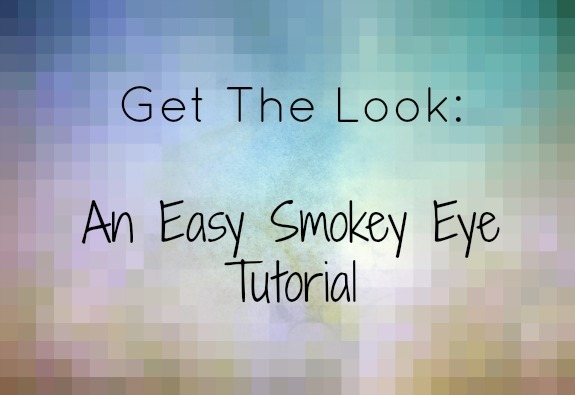 I have always wanted to know how to do a smokey eye. 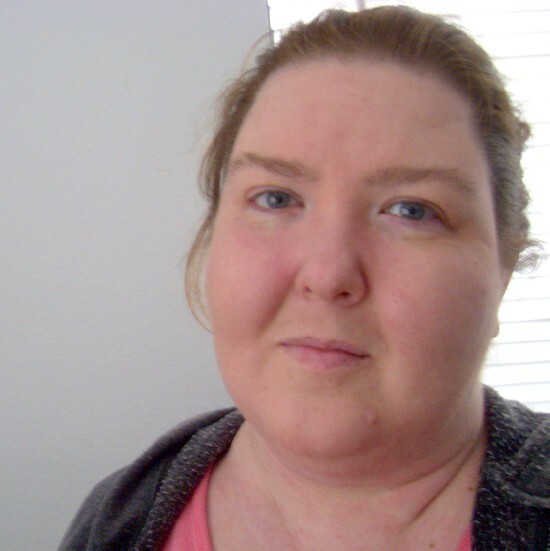 I usually wear a natural color but ever now and then it is nice to get fancied up.